build your career and improve your organization. We have experiential-based, impact-driven programs for all career stages. The Eccles School Executive Education offerings provide you with more than two dozen non-degree business and professional development courses. Select from our portfolio of Certificates, Classes, or have a Custom Program created for your organization. Academic rigor meets real-world practicality. Hailing from some of the world’s most elite institutions, our top-ranked faculty are renowned for balancing academic theory with business practice. A broad network of local and global leaders. Participants come from companies of all sizes and scopes, from local to global, from start-ups to Fortune 100 stalwarts. Class members gain real value from others in their cohort and build a lasting network. Our Executive Education program can serve as your partner for profitability. Past participants have reported that Eccles School programs have had an immediate, measurable impact on their organizations. For example, the average Green Belt Project completed in our Lean Six Sigma Green Belt Manufacturing program saves a company $20,000-$100,000 each year. 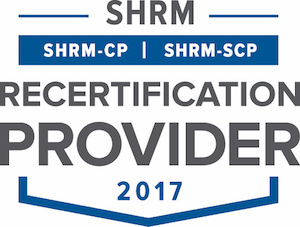 Eccles Executive Education is recognized by SHRM to offer SHRM-CP or SHRMSCP professional development credits (PDCs). Learn from our nationally ranked Top 25 Executive MBA faculty. Choose from more than two dozen courses. Programs range from one-day seminars to multi-week programs. Select from Certificate and Online Programs or design a Custom Program.